Liverpool legend Graeme Souness blasted Tottenham in his post match analysis following the side’s 2-1 defeat to Liverpool earlier today. Souness went on a lengthy rant about Spurs while he worked as a pundit for Sky Sports. Souness was particularly sceptical of Spurs after what is their second successive defeat after they lost to Watford 2-1 before the international break. Souness focused on the fact that Tottenham failed to make any signings this summer – becoming the only Premier League team in history to not to sign a player in the summer transfer window. “He’s frustrated,” the former Liverpool captain told Sky Sports. “He would have wanted four or five players in the summer, but it was obvious he wasn’t going to get them. “They have the excuse of the new stadium, but to his credit he has toed the party line and said we don’t need players, we have a great squad. They do, but they are going to come up short again. They needed two or three quality players to come in and reinvigorate the squad. “When you are a player in a squad and a big player comes in you get excited because you think he will make you better. You find another yard in training and want to impress. That invigorates the squad, and Tottenham didn’t have that this year. If you are not buying anyone you are standing still in football terms. “Everybody you are playing against will have gone out and spent. They have taken a chance to be better and you’re not. That interview was borne out of frustration. He knows he is short and it’s another ‘Groundhog Day’ season. 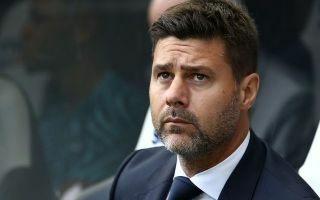 Tottenham would be wise to bolster their squad with some major signings in the January transfer window or they will risk Pochettino becoming increasingly displeased with the club’s lack of transfer activity. Tottenham are at their best when Pochettino and his squad are in perfect harmony with one another. Whilst Souness’ opinion on Spurs is very scathing, it should be noted that there is a lot of truth to what the former Liverpool captain had to say. In the modern Premier League landscape teams are freely spending large amounts to bolster their squads in the summer transfer window, Tottenham’s failure to sign anyone is a worrying sign signalling a lack of intent from the side. It is also worth noting that some of the league’s smaller sides like Brighton and Huddersfield spent vast amounts this summer, even breaking their club-record for signings on numerous occasions. Tottenham are in need of a major turn in attitude if they are to stand any chance of finishing in the top 4 this season. It will be extremely hard for the side to be successful this season if the they continue to look lacklustre in big games.